Our Laodicean Paula Power, the daughter of a wealthy Victorian railway engineer, is the sole inheritor of the ancient De Stancy Castle. The castle requires much modernization and repair so she sets about securing a young, up-and-coming architect, George Somerset, to undertake the project. Immediately captivated Somerset falls in love with our heroine but alas, he is not her only suitor. Paula, "the modern flower in a mediaeval flower-pot" while attracted to him yearns for the dashing Captain De Stancy and the aristocratic background he represents. 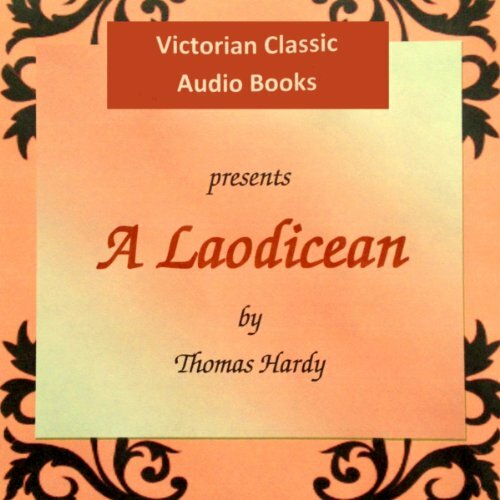 The novel "A Laodicean" was published in 1881. Like many Victorian novels it was first published in serial format. Unlike many of his novels this story is set in the more contemporary setting with many advancements of this fast-moving, technological period. As Thomas Hardy himself suggested that for the "large and happy section of the...public which has not yet reached ripeness of years - A Laodicean may perhaps help to while away an idle afternoon."